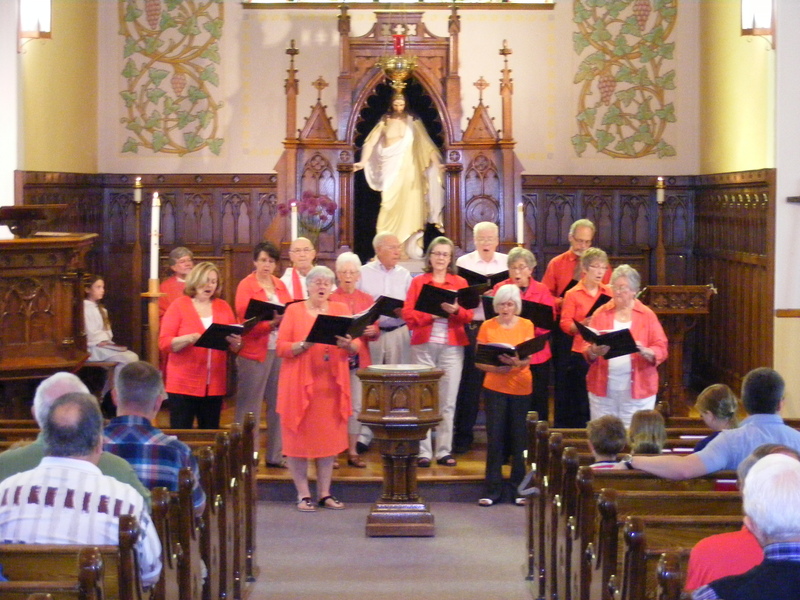 Trinity celebrated Pentecost on Sunday, May 24th with a colourful choir singing an anthem! We also gathered for a great “Sparks” discussion of the future of the Faith Adventures and Youth programs in our church. Go to our Image Gallery to see more pictures from the day! Next week, May 31st, is Music Sunday when the Trinity Choir and Handbell Ensemble will perform a variety of works. After worship, we will gather to hear more about what it means to resettle refugees in our community. Join us! All are welcome. This entry was posted in Children, Choir, Worship, Youth on May 25, 2015 by trinitynewhamburg.